For years and years now, I’ve used canned pumpkin. There’s no shame in it, really. So long as you aren’t using pumpkin pie filling, canned pumpkin can be ok. It is easy, it is convenient, it is delicious. Canned pumpkin is a-okay. Until you’ve tried real pumpkin puree made from an actual pumpkin. Friends, real pumpkin changes the game 100%. It is, surprisingly, much more subtle. 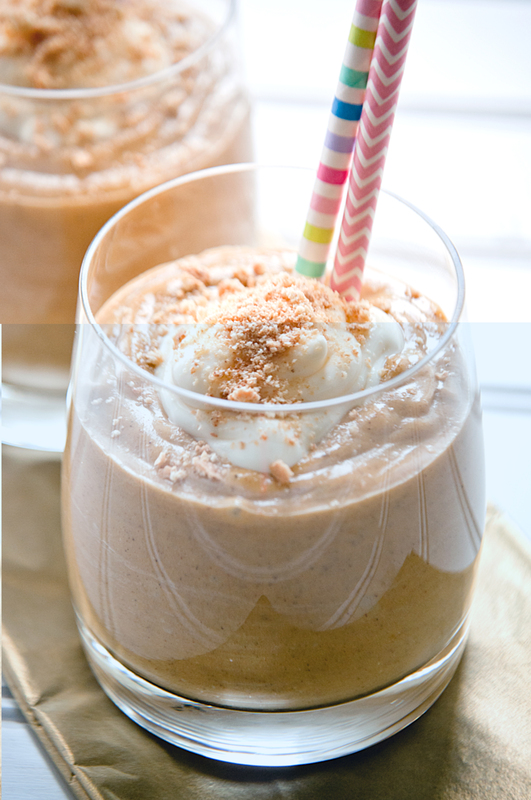 It has a lightly sweet taste and leaves your pumpkin treats incredibly, unbelievably moist. I used real pumpkin in some pumpkin bread – the quintessential fall treat – and was beyond impressed with the results. It yielded a bread so moist, so tender, so delicious, it was devoured before I could even get it on the table. Well, almost. The key to real pumpkin is to get a sugar pie pumpkin. Now, there’s some debate on this – mainly between my mom and I. She tells me that you can use a regular old jack-o-lantern pumpkin but I insist not. This time of year, sugar pie pumpkins are easily available at any grocery store so go for it. Grab one and carefully slice it in half, scooping out the seeds. Spray a baking sheet with a bit of non-stick spray and roast that baby at 425 degrees until fork tender. Let it cool and use your fork or spoon to scoop out the tender, yellow flesh. If you are so inclined, you could swirl this in the food processor for a few seconds to get it really pureed. I skipped that step. For me, it was tender enough. But if you want, feel free. Add it to your treats and report back! 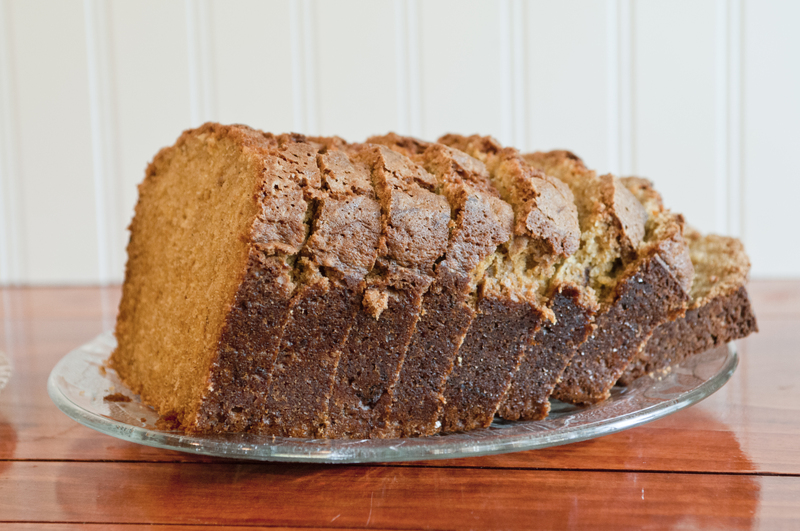 Add it to this pumpkin bread for the most amazing pumpkin bread you’ll ever have. Preheat the oven to 375 degrees and spray a loaf pan with non-stick spray. 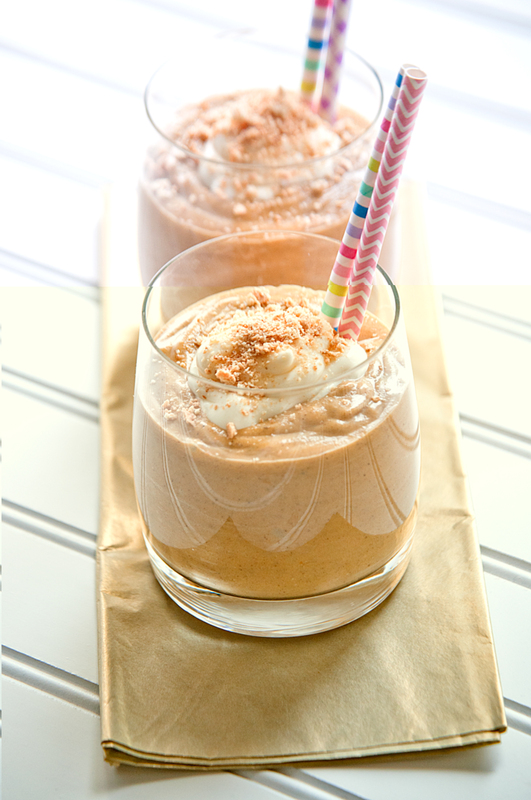 Combine pumpkin puree, eggs, sugar, vegetable oil and maple syrup in a large bowl. In another bowl, combine flour, baking powder, baking soda and pumpkin pie spice. Stir the dry ingredients into the wet ingredients until completely incorporated. Bake for 45 minutes to an hour until a knife comes out clean. Slice and serve with butter. I’ve had all these grand plans to share lots of amazing fall recipes this year. Unfortunately, my home life has me busier than usual and for that, I apologize to you. I will try to continue sharing delicious treats, filling and easy dinners and fun drinks when I can, but it most certainly isn’t as regular as before. Still, there is a silver lining. My hope is that while the amount of recipes I share decreases, the quality of each recipe will increase. Each dish I share, each photo, each meal will be better, tastier and more important for you. With that said, I present to you one of my favorite Halloween recipes to date. Halloween is one of my favorite times of year anymore. I think it is a mixture of things. Fall, and the chilly weather, combined with the candy and the whimsy. The constant horror flicks on every channel, from good to bad to cheesy bad to cheesy good. It is definitely something I look forward to every year, even as my child is getting older and no longer overly interested in Halloween. 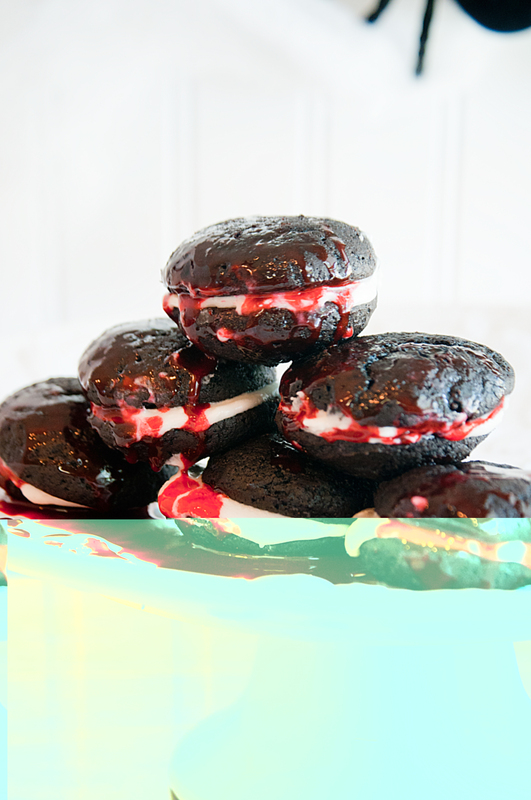 I threw together these bloody good whoopie pies a few weeks ago while writing a magazine article about Halloween. It was one of the most fun pieces to write, though it require a sense of macabre. I went with the slightly dark side of Halloween instead of the princess and super hero side. And it was a serious blast. These whoopie pies are your standard, basic whoopie pie with chocolate cake and vanilla filling. The thing that transforms them is the oozing, dripping edible blood. It is a cinch to make and gives all of your Halloween creations an absolutely eerie feeling. Give it a try for yourself and drizzle it over everything! For Blood: Combine the corn syrup and cocoa powder until well-mixed. Add in red food dye until the “blood” reaches the color you want. For a deeper blood, add more food dye. If necessary, thin out the blood with a bit of water. For pies: Preheat oven to 350 degrees. In a bowl, whisk together flour, cocoa, baking soda and salt. Stir together buttermilk and vanilla. In the bowl of a stand mixer, beat together butter and brown sugar until fluffy. Add in egg until well combined. With the mixer on low, add flour and buttermilk alternately in three batches, beginning and ending with flour. Using an ice cream scoop, spoon even amounts of batter onto a parchment-lined baking sheet. Bake 11 to 13 minutes until the cakes spring back when touched. Transfer to a cooling rack to cool completely. Once cooled, make the filling by combining butter, confectioners sugar and vanilla in a mixer until well combined. Add in milk to thin if necessary. To assemble, place a bit of cream on the whoopie pie, then top with another. Repeat until all of your pies have been filled. Place on your serving platter, then drizzle with the edible blood. Fall really means one thing: tailgating. And no tailgate is complete without melty turkey and cheese sliders. Tailgating is somewhat a multi-faceted word. In general, it evokes the image of sports. Cheering on your favorite team while wearing team colors and boasting to fans about your favorite players and how awesome they will be. But with that one simple word – tailgate – dozens of different ideas and emotions come forward. Food. Friends. Parties. Sports. Tailgating isn’t just about the game anymore. Yes, the sporting event is the driving force behind the party, but a good tailgate means so much more than just a simple game. It means people gathering together, eating delicious food and cheering on their favorite teams in unison, as one. It evokes feelings of camaraderie, friendship and maybe even a little sassy competition. While tailgating may be simple and sports-related, to me it really means a gathering of friends and family over good food, good drinks and good times. There’s nothing I love more than the fall sports season simply for that very reason. 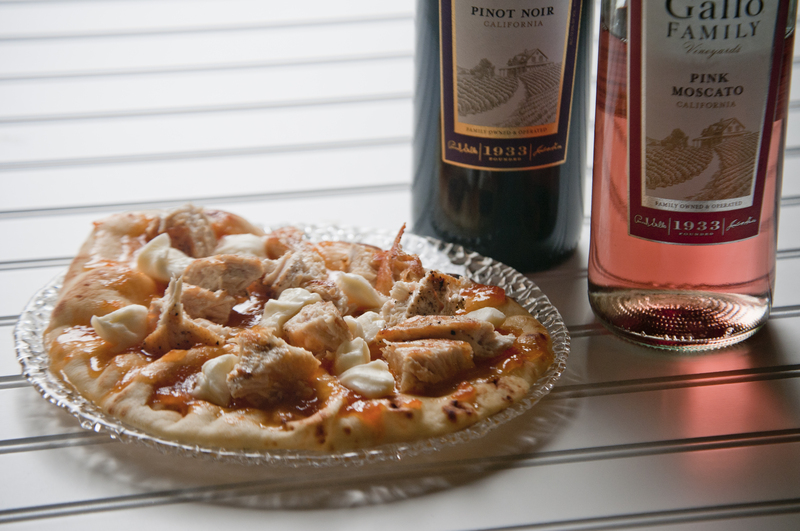 Gallo Family Vineyards loves to celebrate a good tailgate. They have such a wide variety of wines to choose from, making it easy to supply your tailgaters with a bevy of options. Their mini bottles are perfect for easy transporting to and from games and go perfectly with so many different tailgating dishes. For me, I love a good slider. No sporting event is complete without one, no matter what the form. They are incredibly versatile, able to be filled with so many different things from meats to veggies to cheese to slaw. For my tailgating dish, I went classic. Turkey, cheese, Hawaiian rolls and just a little bit of butter to keep the rolls from getting too, too crispy. Cook them in the oven (or if you’re tailgating outside, carefully over the grill) and the cheese becomes so melted and beautiful. I went with a honey glazed turkey breast because it is my most favorite, from the bottom of my heart. If you want to fancy it up a little, you could try a rosemary crusted ham to add a little something extra to the mix. 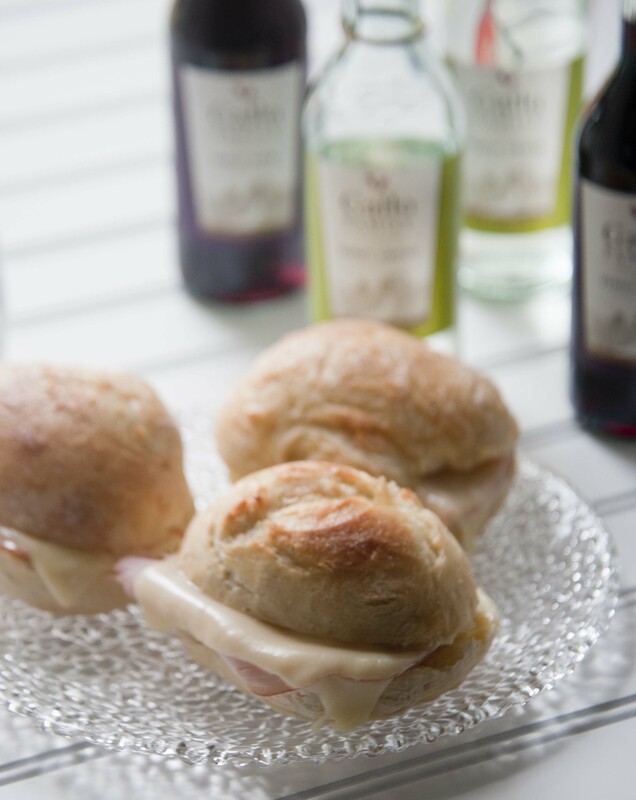 But no matter what you choose, these sliders pair up perfectly with either the Pinot Grigio or the Merlot, whichever you are in the mood to taste. 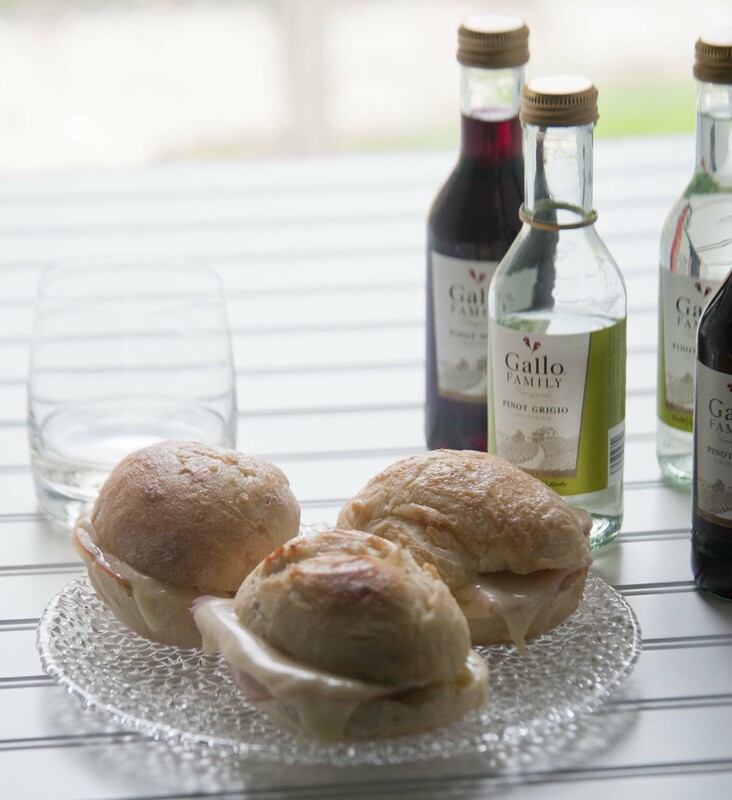 Even better, these sandwiches and the Gallo mini bottles are so easy to toss into a container or cooler and be ready for the big game. The easier, the better for a tailgate. Pack them up, head to the game and cheer on your favorite team. Or, if you’re like me, sit in the parking lot and and sip wine and eat delicious food while your sports-inclined friends head inside for the game. They can give you the details at half time. To find Gallo Family wines in stores near you, try this store locator. Don’t forget to check out the rest of the tailgating foods my fellow Sunday Supper friends have cooked up. Between these sliders and the rest of these meals, you’ve got yourself a ready made party! Slice all the rolls in half and place the bottoms on a foil-lined baking sheet. Tear the turkey in half and place a half on each roll bottom. Place a slice of cheese on top of the turkey, then place the roll lid on top. Brush melted butter on top of the rolls. Bake for 7 to 10 minutes until cheese has melted.